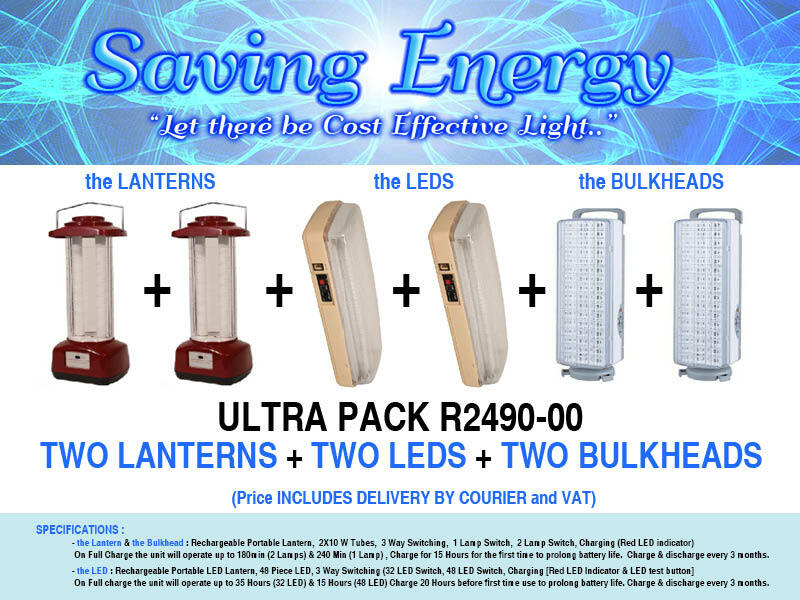 With load shedding set to continue over the next two years or so, make sure you aren’t left in the dark when the lights go out. 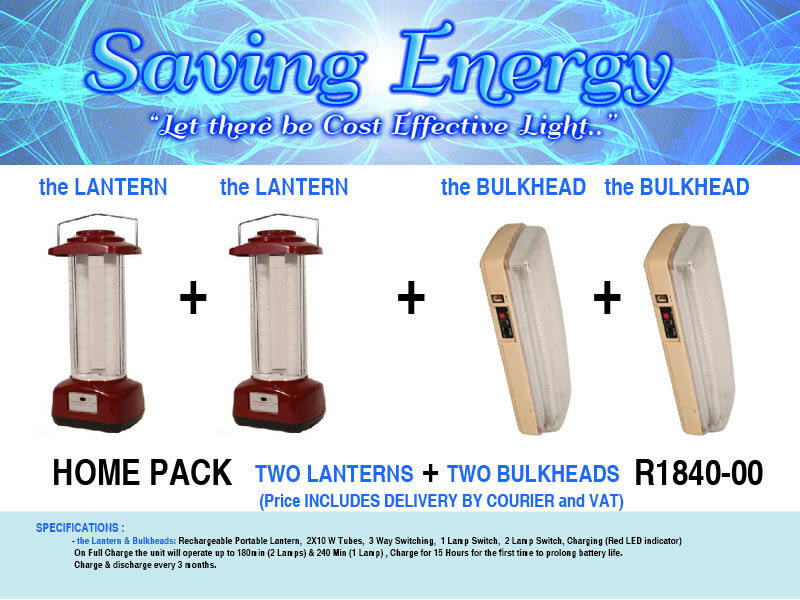 Having sourced high quality rechargeable lanterns and bulkhead fittings , we can now offer you essential light when the power goes down. 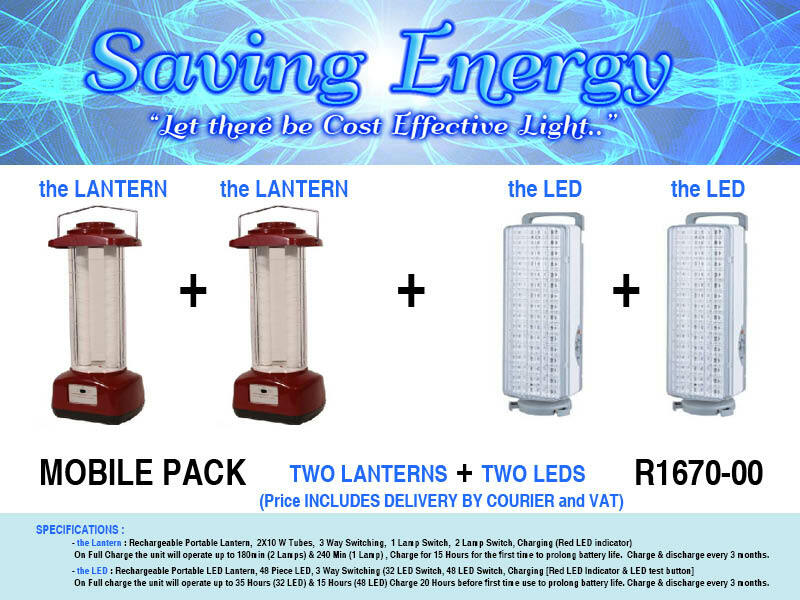 Featuring options in either compact fluourescent 1oW Lamps or 36/48 LED and running for between 3 hours and up to 35 hours , our range of Emergency Lanterns will give you light when you need it most. Besides the Emergency lighting aspect, these can be used for camping, fishing and other outdoor activities where portable long life light is needed. 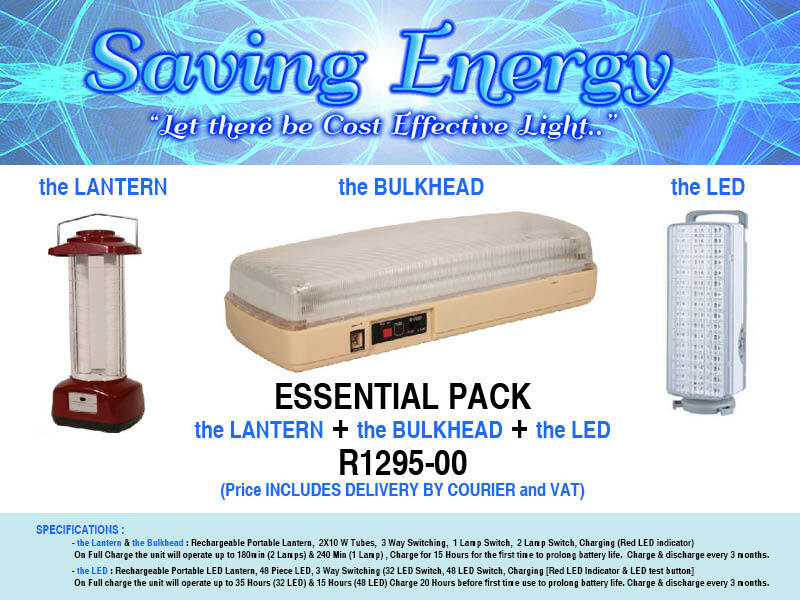 The price include delivery by courier to ANYWHERE in South Africa. TO ORDER : Scroll to the bottom of the page and fill in the order form. Ensure your delivery address is correct as this is where the courier will deliver your order. You will receive an invoice from Saving Energy and once paid, your order will be dispatched by Aramex Courier. You will receive a tracking number by email and you should receive your order within a few days. PLEASE ENSURE YOU READ THE INSTRUCTIONS FOR CHARGING THE LANTERNS CAREFULLY ESPECIALLY FOR THE FIRST CHARGE.